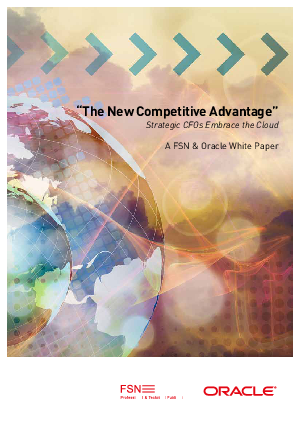 Fact: In the next three years, 53% of CFOs estimate that over half of their enterprise transactions will be delivered through the cloud, up from the 12 percent who use that delivery mechanism today. In addition to non-core business processes like project management and email, strategic CFOs are also starting to embrace the cloud to deliver core ERP processes, including financial management, human capital management, and procurement. Rather than view the cloud just as a cost-saving platform, they recognize the strategic benefits that the cloud delivers to get critical growth initiatives up and running quickly, whether that’s using the cloud to quickly upgrade to a new application, or delivering new mobile or analytical capabilities to employees.